Buick Rendezvous kit allows you to quickly and easily repair your shift cable by replacing the bushing. The patent pending coupling and custom molded replacement bushing ensure a quality repair with ease. A professional can perform this repair in under 10 minutes, average time for a non-professional is less than 25 minutes. This bushing is made from a material that was designed to outlast the factory bushing and includes everything needed to install. 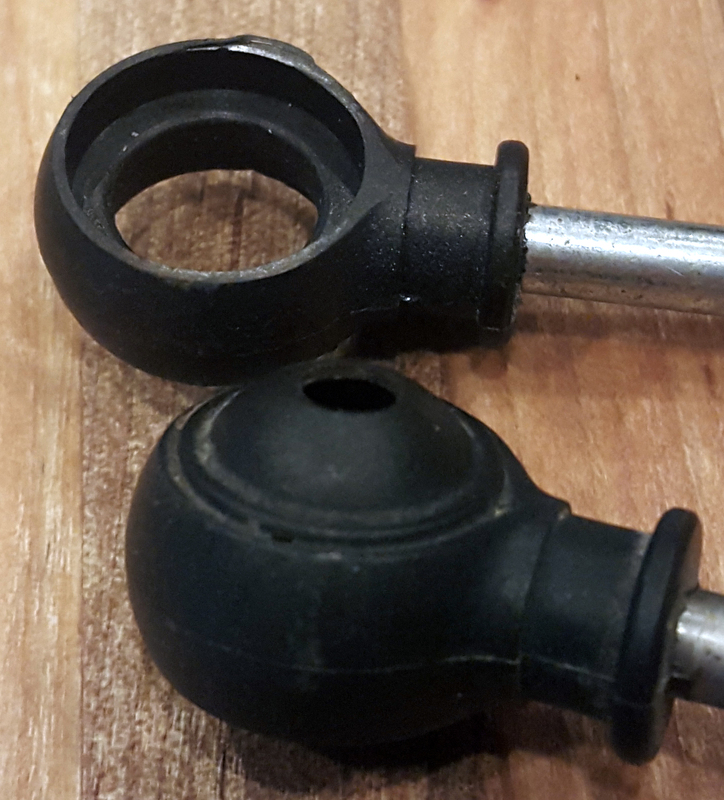 Order Online at www.BushingFix.com This shift lever bushing repair kit allows you to fix your Buick Rendezvous shifter lever by replacing the bushing very easily. It takes about 5 minutes and comes with a warranty, it's made from better material than the factory bushing so it'll last longer. No drilling required. Check out our website to order and for additional written instructions. The easiest way to fix your Buick Rendezvous shift lever! Kit includes replacement bushing. Between the extremely helpful video and the reasonably priced part, I couldn't be happier! Fast shipping and easy installation. Great product. My 5 star rating was for the quick response and replacement that BushingFix.com had given me (specifically Krista)! My 2005 Buick Rendezvous shifter cable bushing had broken off and found this website with great review and replacement! I'll definitely recommend all! Thank you and very satisfied! Easy to install, took about 20 Min. Back on the road again! Cost $30 with shipping and 20 minutes to install. I can't imagine how much a mechanic would charge to fix this. This saved me hundreds of dollars over having a mechanic replace the entire shifter cable. SAVED ME A TON OF MONEY! When my Rendevous stopped shifting I did a little research and found that it might be this bushing. I'm not a mechanic so called my local shop for a quote, they told me they couldn't just change the bushing, they had to change the whole shift cable at a price of $500!!! So I took a chance and bought this product and boy I'm glad I did, they saved me $470!!!. I was nervous about working on the car but looking at the video several times I was able to do it in under 30 minutes. Works perfectly again!